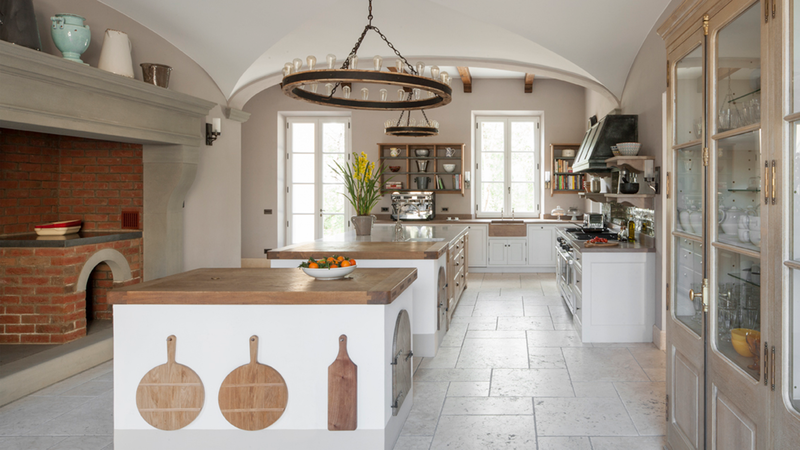 Our client’s house in Tuscany was in an advanced state of disrepair when they took it on. 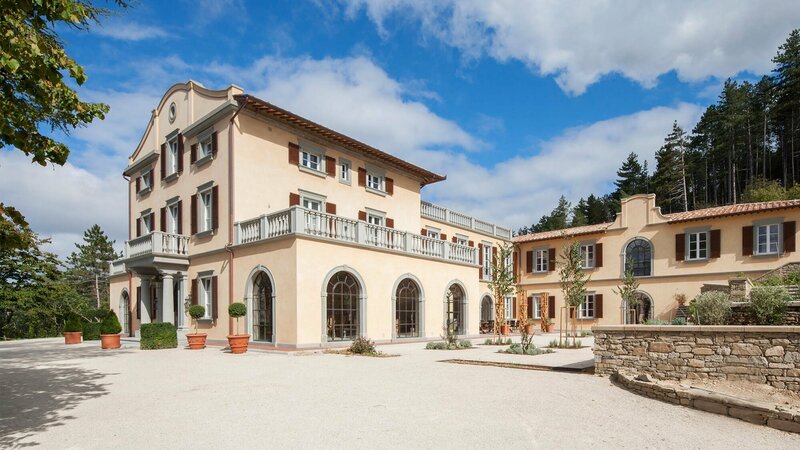 Built by a Swiss emigré at the turn of the last century, the villa was run for decades as a hotel. 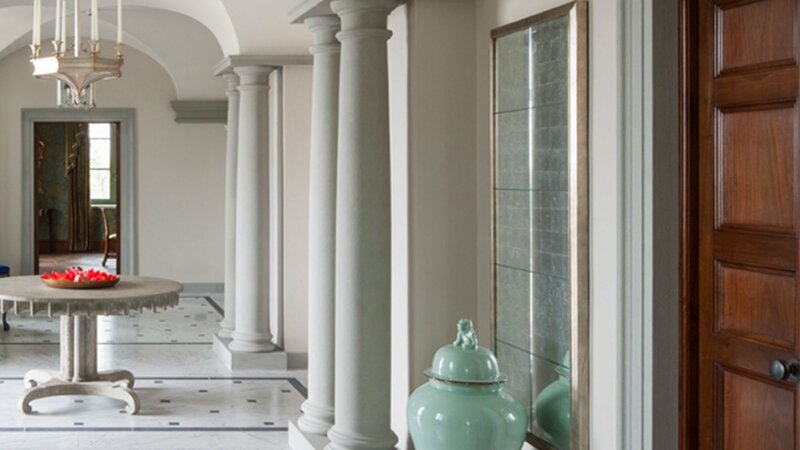 Our brief was to help turn the Villa back into a family home, with a striking formal hallway. The Villa’s entrance hall presented a number of architectural design challenges. The principle of those being the two pairs of large supporting pillars which supported deep steel beams spanning the room. To overcome this, Artichoke designed four pairs of Doric columns which we used to hide the invasive steel supports. These columns act as a visual support for the groined ceiling which we designed to make use of the tall open spaces in the room. As part of our works, the Artichoke team designed and set out the Carrara marble floor with limestone cabochon detailing. 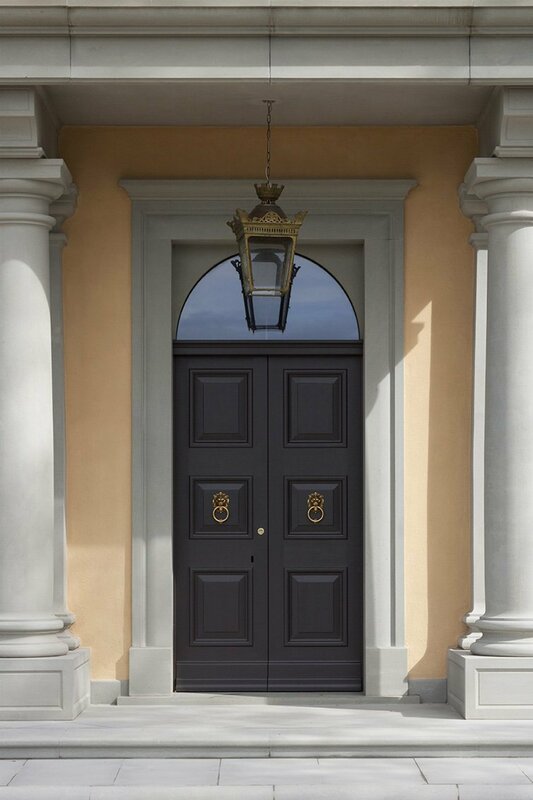 The door architraves were also designed by us and specified in Pietra Serena sandstone to match the Doric columns. 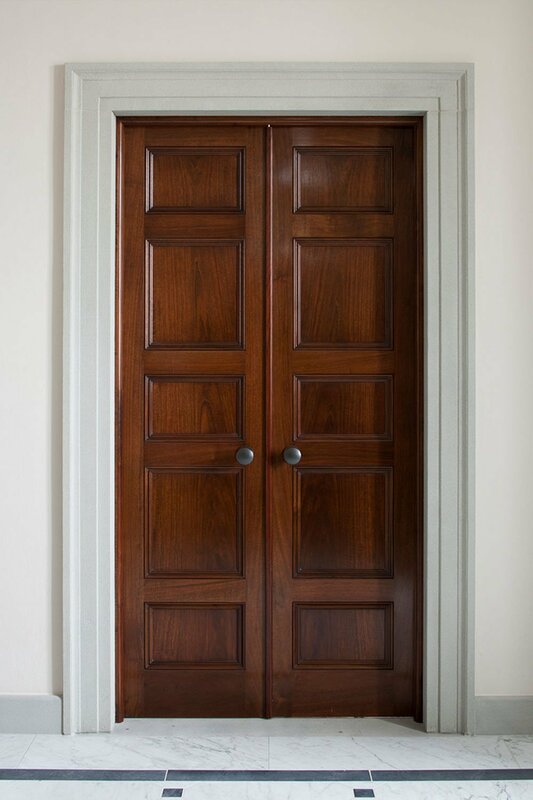 The joinery doors are in European walnut and traditionally French polished and waxed. 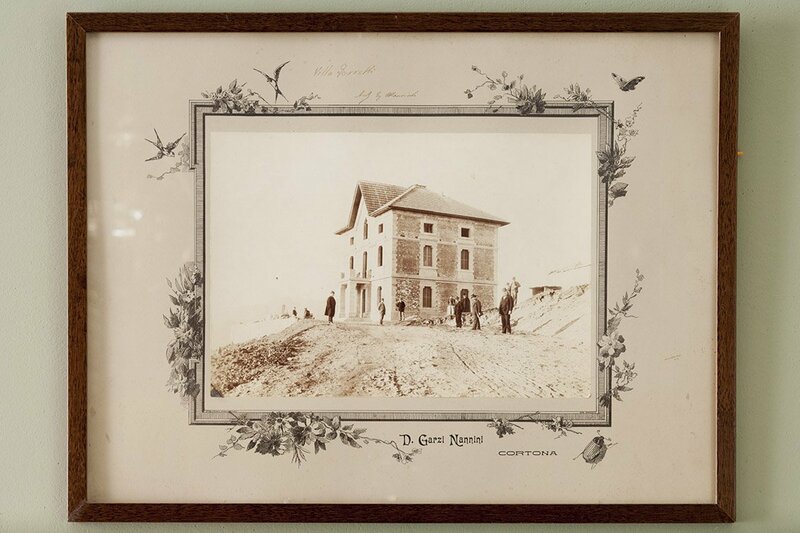 Much of the early stages of the project involved us resolving how interior architecture could be bought into play to improve how the house functioned for family life. 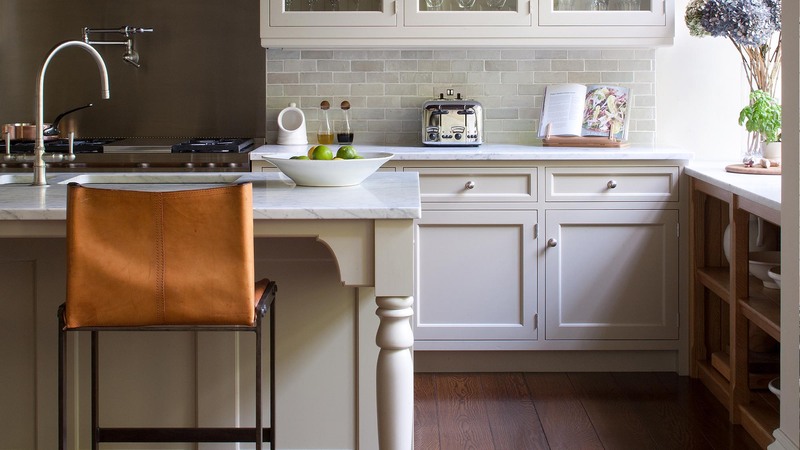 Once settled we shifted our focus towards the interior design and furniture design. 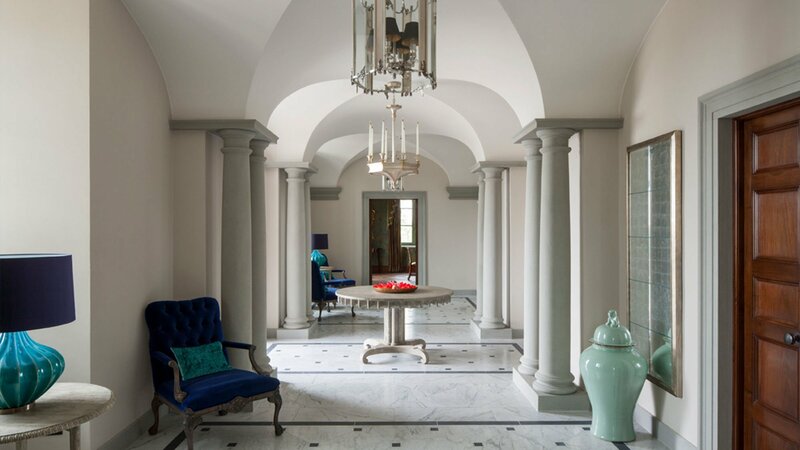 The Grand Hallway was far from grand when we took it on, but with its new groined vault ceiling, supporting doric columns and classical floor is now befitting of the grand exterior (also designed by the Artichoke team).